Whether you’re cruising in a new BMW 330i, BMW X5, BMW X3, BMW 430i or BMW 440i or a used BMW vehicle, we will having it running like it’s fresh off the assembly line. Our auto repair and maintenance center, located in Santa Rosa, California, is on hand for all of your service needs. From routine to the unanticipated, we have you covered. In need of an oil change? Tire rotation? Check engine light on? Don’t waste another minute and fill out our contact form. 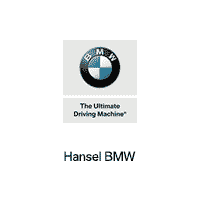 Hansel BMW of Santa Rosa will get in touch to confirm an appointment, and before you know it, you’ll be back on the road in a pristine BMW vehicle!